BIGGER AND BETTER!! 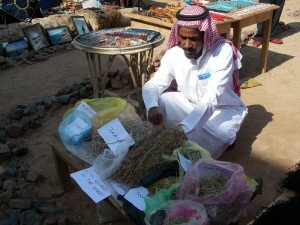 Dahab Festival’s second year! Home/Magazine/BIGGER AND BETTER!! Dahab Festival’s second year! What do Bedouin camel races, chilling windsurfing stunts, photographic fish hunts, trash art and kundalini yoga have in common? They are all part of the spectacular program of the Dahab International Festival of Watersports, Culture and Desert Adventure – returning for its second year bigger and better! In 2011, the whole of Dahab came together as a community for the first time to organize this fabulous Festival, with the local Bedouin and Egyptian population and expats all joining hands to make it a truly community-wide co-operation. This year the Festival has grown into an event of epic proportions, with people coming from all across the globe to this gorgeous, tucked-away, Red Sea treasure to showcase for you all it has to offer. Dahab may be smaller and considered less polished than its glam cousins Hurghada and Sharm el Sheikh, but the variety of magnificent activities it features is second to none. From 14-20 April 2012, there is really something for everyone to enjoy, in a week-long program stuffed to the gills with fun events. You can jump into the water and enjoy the marvellous wonders underneath the sea – you can surf over it and revel in speed and wind – you can relax into a meditation or healing session or stretch yourself doing yoga and all kinds of dance exercise – you can discover the wonderfully diverse and historically rich Bedouin culture – you can taste all the culinary delights on the menu of Dahab – you can check out our marvelous young performers of the famous Dahab children’s circus Circ Bonboni and try out some circus tricks in a very special workshop – you can see how inspired our artists are by our beautiful town and desert and become inspired yourself doing all sorts of creative workshops – you can learn how to take good pictures under water and then compete in two exciting photography competitions – you can have your face painted, compete with your home-made kite made of recyclable materials and dance till you drop to the music of talented bands and DJs. Throughout the week, there are scheduled activities and ongoing ones, and of course the central Festival Square near the central Dahab bridge is hopping with activities, markets, culture and music the whole time. For full information on times and places check out the Festival website www.dahabfestival.info. SharmWomen2014-03-28T22:10:50+02:00March 3rd, 2012|Magazine|Comments Off on BIGGER AND BETTER!! 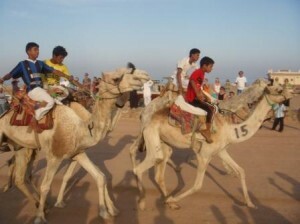 Dahab Festival’s second year!